It’s that time of the year again when you are thinking about family holiday trips, long, lazy evenings, pool parties and a few days on the beach (at the very least). Summer is indeed all about the outdoors, and an amazing, secluded lounge in the backyard might well be all you ever need. But it is also the perfect time to bring some of that freshness indoors as you open your home up to the many vibrant sights and sounds outside. 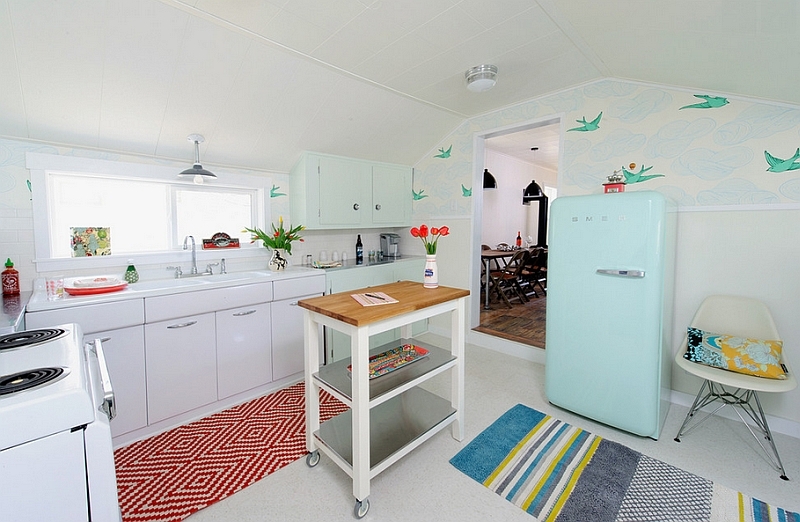 And we are here to help you with this cool makeover by showcasing some colorful and trendy inspirations clad in the hottest color combinations of summer 2014. When Opposites Steal the Show! 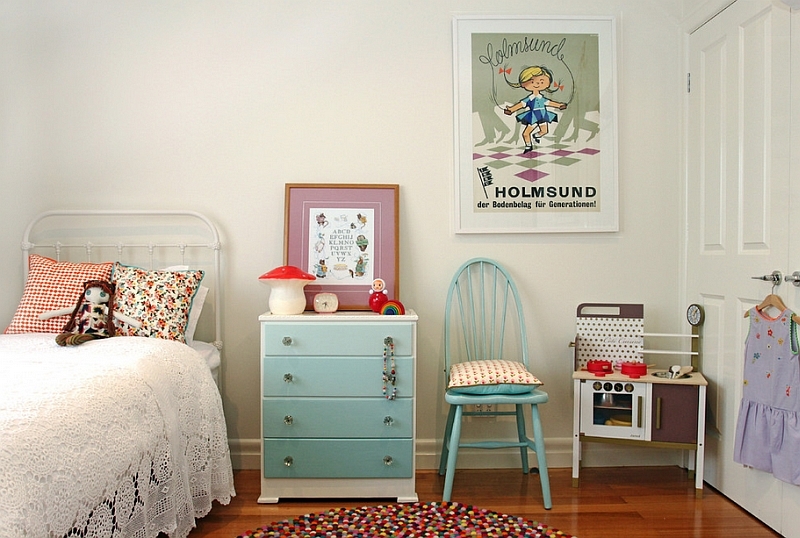 Imagine bright blues and tangy oranges separately and you would be a bit circumspect about ever putting them together in the same room. Yet, blue and orange seem to get along with each other in a surprisingly brilliant fashion. 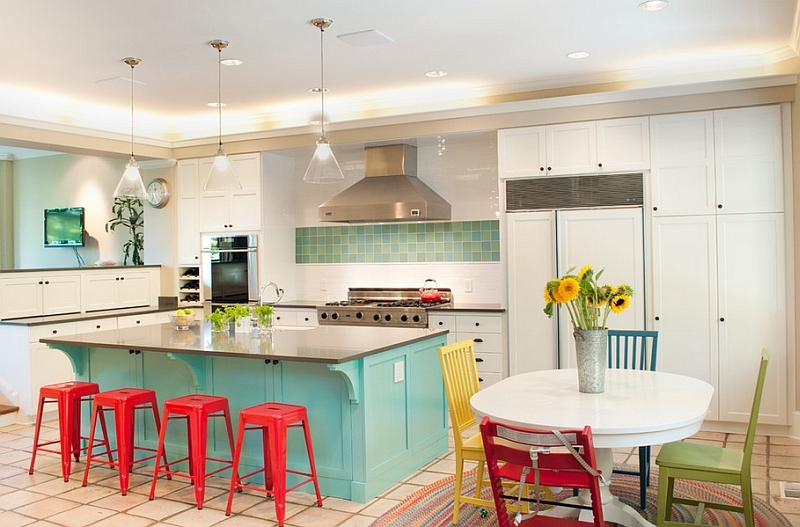 Few color combinations make a visual impact and dramatically revamp the space like these two shades. 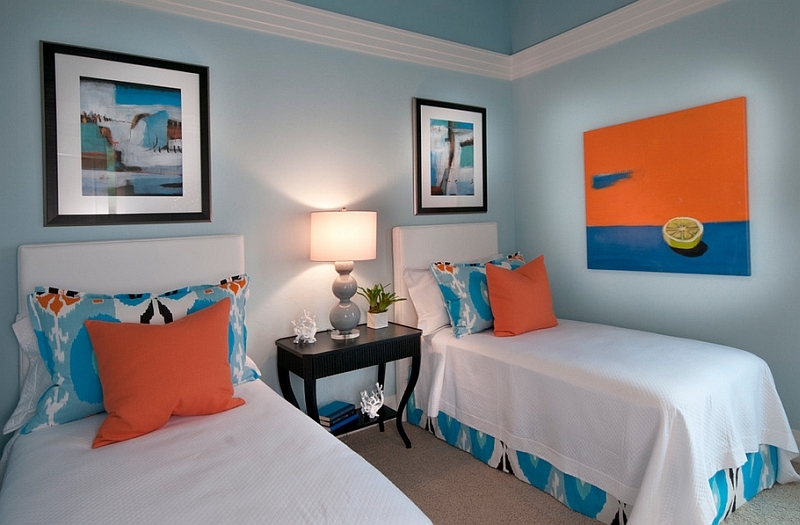 Most often, varying shades of blue are used along with orange as accent hues in a room with a neutral backdrop. 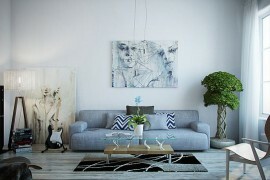 An all-white background is the ideal canvas for decorating with a cheerful orange and blue combination. Since both colors make such a profound visual impact, they must be used in a careful and calculated fashion. 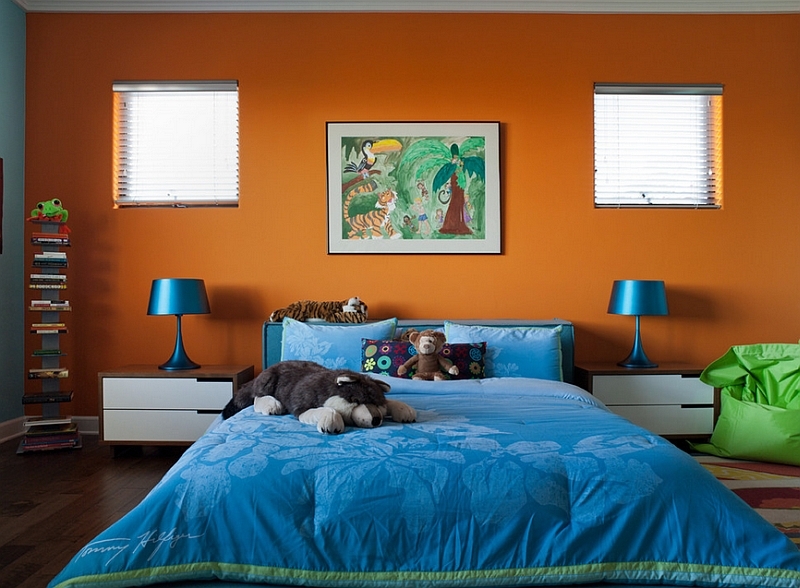 A blue accent wall along with bright orange decor gives the bedroom that cool summer appeal you may have always wanted. Add some stunning white sheer curtains, and you seem to have a perfect blend between the beach and the Mediterranean style! 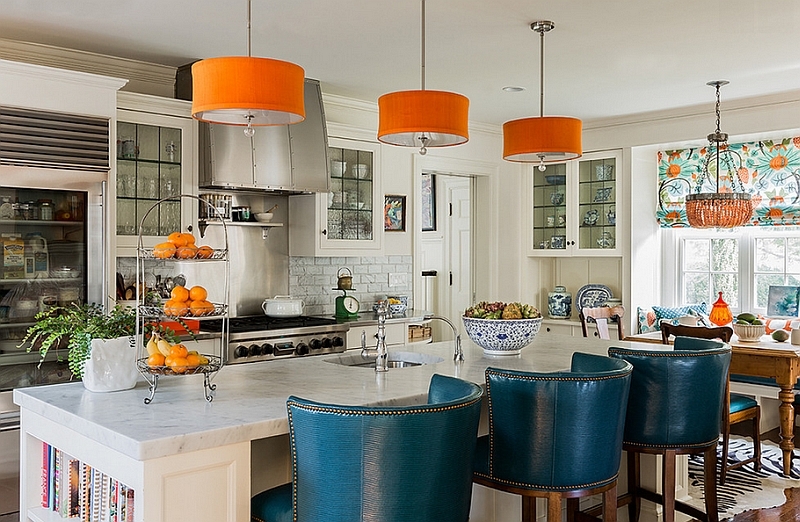 This summer, blue and orange is indeed the most happening color duo. 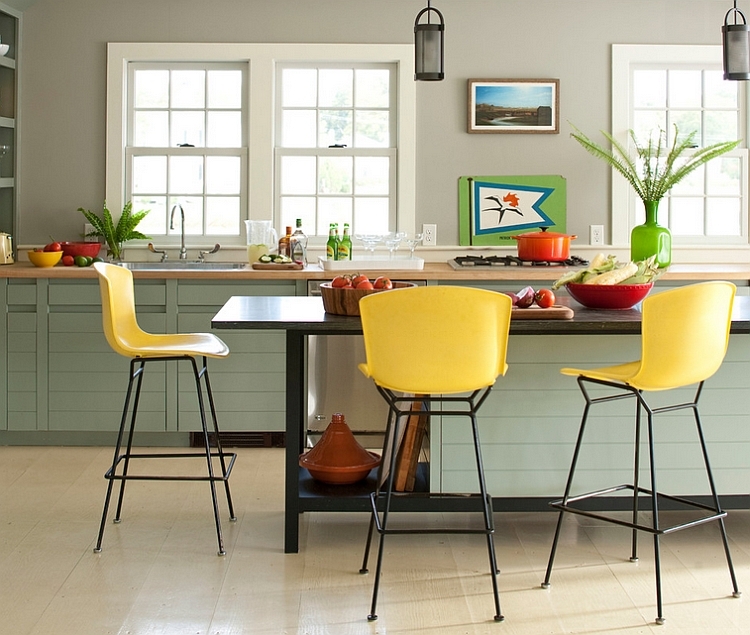 While some people love to redecorate with changing seasons and trends, others prefer to pick themes and color schemes that serve them beyond just the next few months. Finding this delicate balance between ‘staying relevant’ and serving you across several seasons is the joyful and refreshing combination of green and yellow. Using yellows and greens is nothing new, and we have come to accept them as an organic combination, thanks to the many inspirations found in nature. 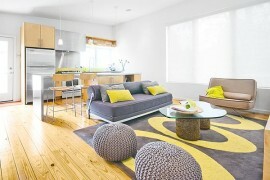 The color scheme is sophisticated yet simple, trendy and yet timeless! The amazing array of shades each hue offers makes it an even more exciting and dynamic duo. 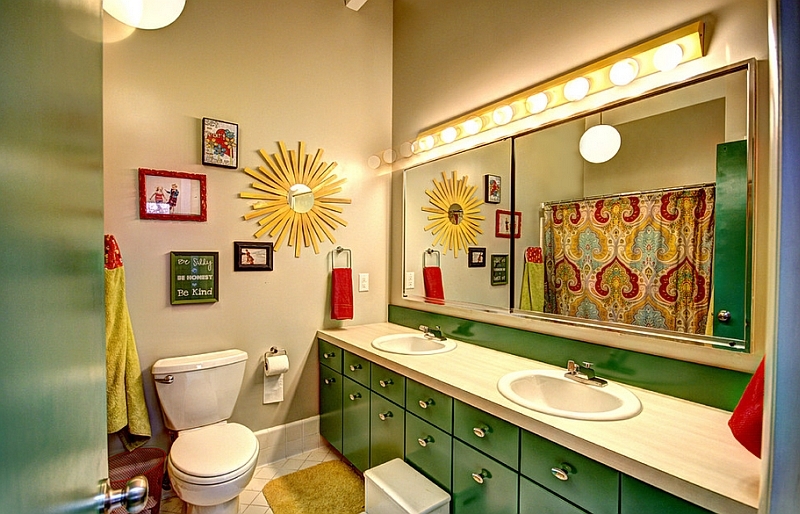 Lime green and golden yellow are two of the most popular colors of 2014, and both of them add glamour and panache to the interior. While the greens and yellows look lovely throughout the summer, they seem to blend in and accentuate fall and spring colors as well. Just couple these hues with some dark wood and a fireplace, and you even have a warm, cozy winter hub. A perfect pair for every day of every season! 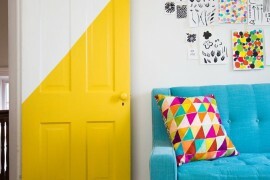 A hot trend that is slowly but surely making a comeback in the design world this year is ‘Ombre’. 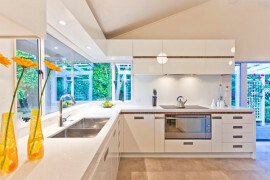 Some of the world’s leading fashion designers have already used the ombre effect in their spring/summer collections, and this style statement is taking over the interior design world as well. 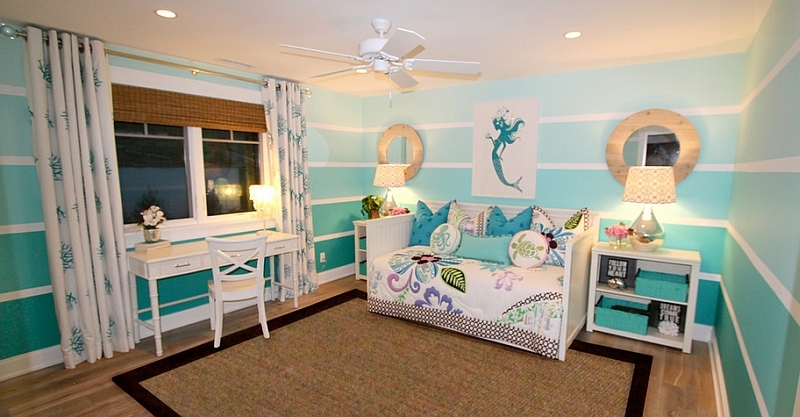 Derived from the French word which means “to shade”, ombre accent walls make for a playful and energetic addition. They also double as instant focal points both in the living room and the bedroom, and even bathrooms can use this touch with cool blue ombre tiles! From decor to drapes, summer 2014 is the ideal time to revisit this timeless classic, even though it does not involve two different colors! 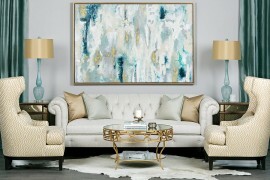 It is indeed hard to move away from the varying shades of blue when it comes to summer color schemes, and here is another duo that relies on this color. 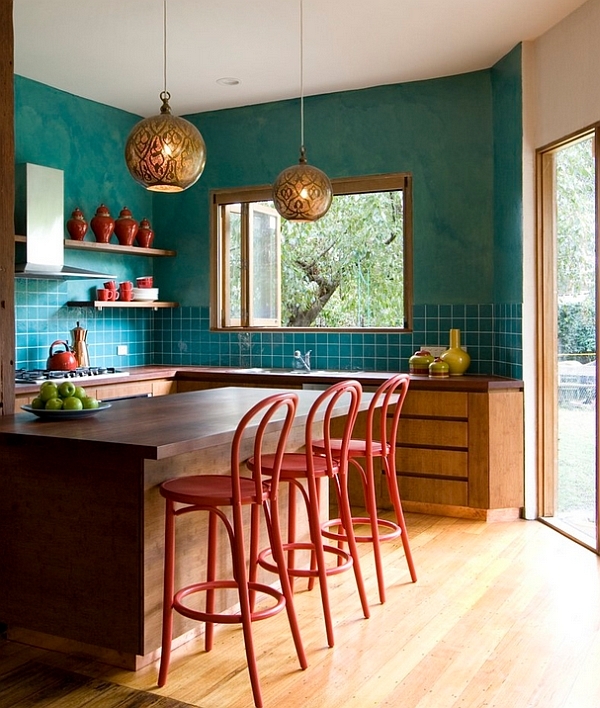 Turquoise and red is an unexpected combination that seems to have taken off in 2014, and you can see both homeowners and designers now gravitating towards this bold pairing. Among the two, turquoise offers a sense of serenity and tranquility, while red is audacious and striking. 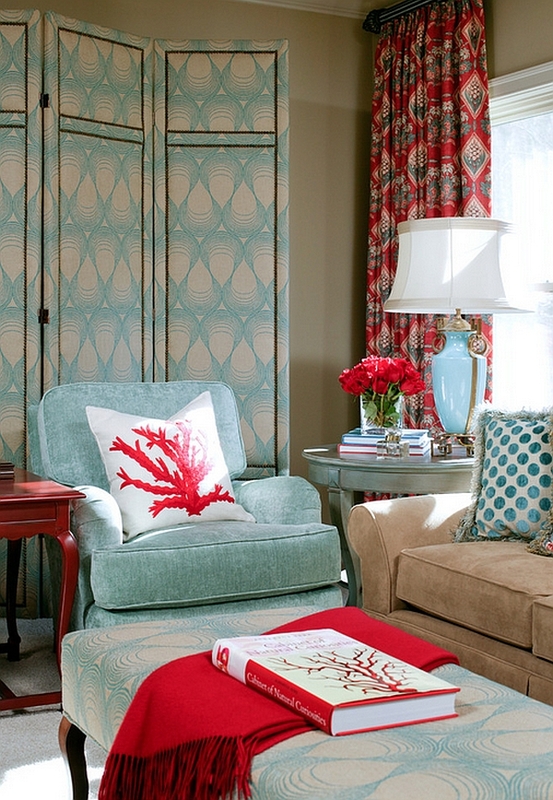 If you love this color duo, then we suggest that you use red as sparingly as possible to really let the turquoise take over! 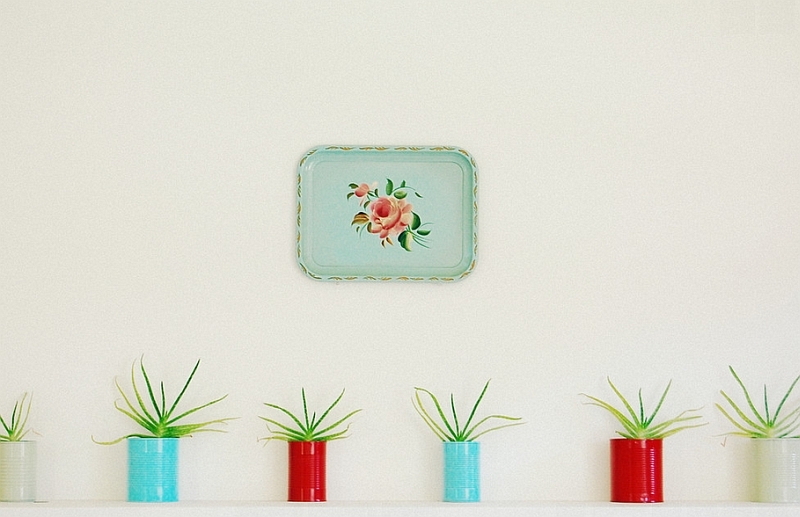 As you can see from the many inspirations here, often the walls embrace the relaxing turquoise, while it is decor accents that bring in the red. 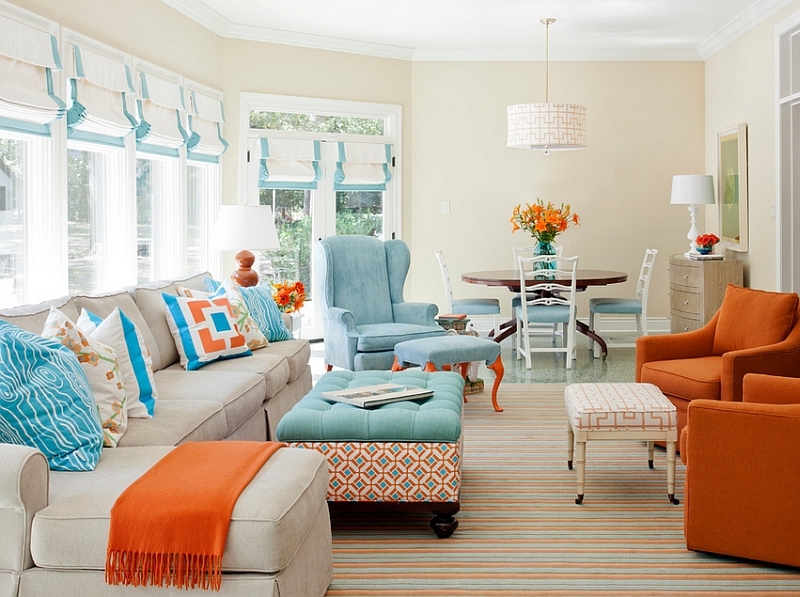 Fabric accents and simple furnishings can also be used to usher in any of these color combinations without opting for a major overhaul. 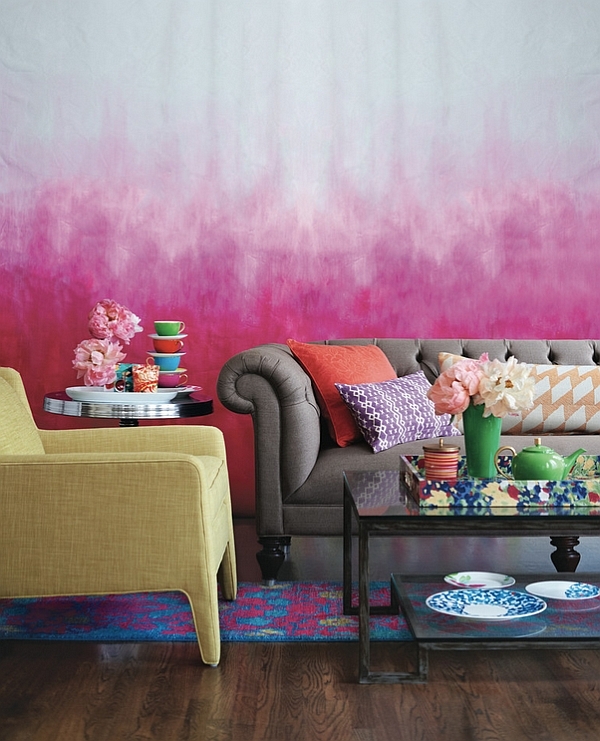 So, which of these summer color trends are you tempted by the most?